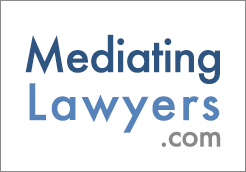 "Mediate.com continues to acquaint us with the latest in fresh, exciting new ideas that do not have to conform to academic requirements or anyone's idea of what our field should be. It is where we learn from each other, and it does not cost us a thing. As a result, it is invaluable and deserves our continued support."